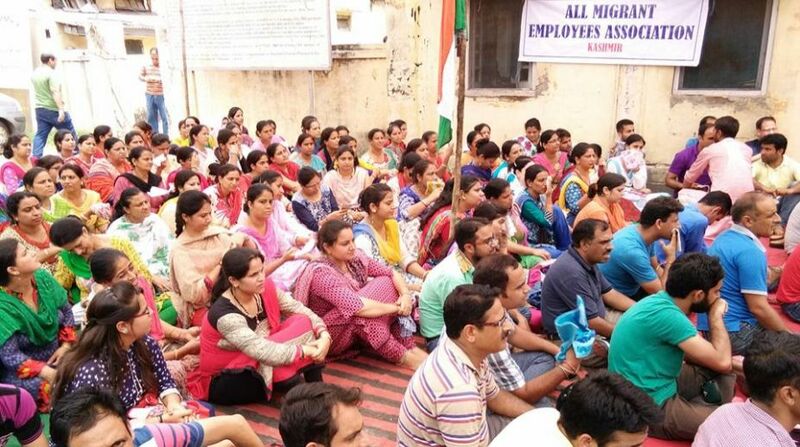 The Panun Kashmir (PK), which is an organization of the displaced Kashmiri Pandits from the valley, on Monday demanded that the Articles 370 and 35A should be abrogated as these smacked of separatist tendency. The PK, which celebrated integration of J&K with rest of India, said that the two Articles have become an “unnecessary baggage” and were in contravention of the fundamental rights. Ashwani Churangoo, President of the PK, urged the centre to take immediate steps to liberate the Pakistan occupied parts of Jammu & Kashmir in consonance with the unanimous resolution passed by the Parliament in 1994. The issue of Rohingya Muslim migrants has assumed a national security threat and particularly their presence in the Jammu and Kashmir state has implicit larger dimensions of demographic invasion on the Jammu region. The process for their detection and deportation should be taken in hand by the government forthwith, he said.